Lately, the international interest toward IS is very high. name of the extreme terrorist group in Islam) is too horrific. a young Korean boy went missing to join the IS. which had the highest number of visitors from Israel this week. It is probably because of the above reasons. 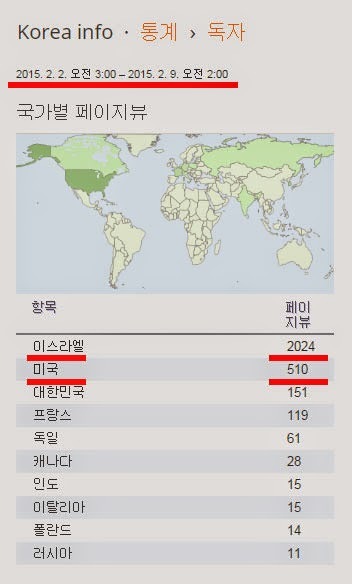 And about 150 people from Korea a week visited the blog in general. However, 2,000 people from Israel and 500 from the U.S. visited Full Korea. Is it because there is higher interest toward Korea in Israel?